Fort Lauderdale is the Venice of America. It has a huge network of canals and rivers that connect the different areas of Fort Lauderdale, with great sights to see along the river. On the Intracoastal, you will see some of the most expensive, extravagant houses in the world, many of them owned by the rich and famous. The best way to experience the Ft Lauderdale Intracoastal is to do a boat rental and drive around and explore for yourself. If you have a little boating experience, you can rent a boat and drive it yourself. If you’re totally a novice, you can always hire one of our experienced captains. Our rental boats are perfect for inland waterway cruises. All our boats have 2018 brand new engines. They are loaded with all the required safety equipment (life jackets, flares, fire extinguishers, etc…). We have coolers and ice aboard for you ready to go, so all you have to do is jump aboard and enjoy your day on the water worry free. You can rent a boat with a captain or take the boat out yourself without a captain if you have a bit of boating experience. Our standard rental boats range from 20-85ft in length and can take groups from 1-60 people. We have few larger boats that can be rented as well, just give us a call and tell us what you need. We are one of the oldest running boat rental company in Fort Lauderdale. Whatever event you want to rent a boat for, we have the rental boat for you. 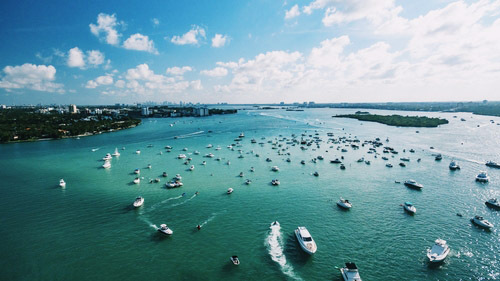 You can rent a boat for a sandbar trip, Intracoastal cruise, a large party boat trip such as a bachelor or bachelorette party boat rental or anything you can think of. The sky is the limit for our different party boat rental options. We’re here to take the work out of boating. We’ll be here, ready for your reservation so you can have fun on the water without the work of owning a boat. Come on down to A1A and Las Olas Blvd and rent one of our Fort Lauderdale rental boats today. Sea ya on the water.